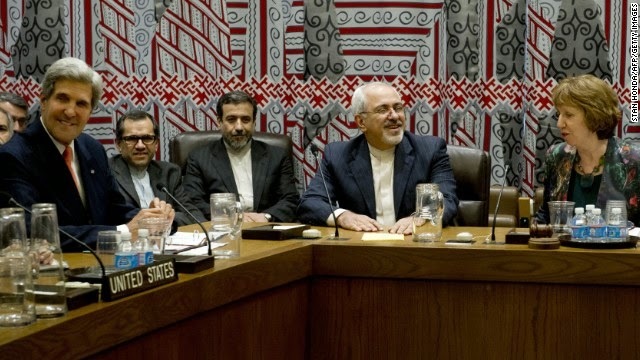 Iran and the P5+1 reached the deadline of their nuclear talks yesterday without any consensus. The talks have gone on for months between Iran and the five permanent UN Security Council member nations (plus Germany), with a questionable amount of progress being made. However, yesterday did not mark the end of the talks - the deadline was simply extended another seven months. Is this a good or bad thing for the United States? Well, perhaps it's both. The biggest thing to take away from yesterday's deadline extension is that the deadline was extended at all. Clearly both sides see the importance in reaching a consensus on such an important issue, and the fact that all parties involved wish to remain involved could itself be seen as a success. However, a more pessimistic observation would be that despite months of negotiations, the parties have still been unable to find common ground - what could seven more months possibly achieve? There is more good news, however, in the fact that Iran will continue to bear the brunt of all sanctions while negotiations continue. The economic sanctions that have been imposed on Iran have crippled the country, bringing urgency to the table on the part of Iranian President Rouhani who is trying to turn his economy around. In addition to economic sanctions, Iran continues to accept stringent nuclear inspection policies, meaning they will be highly scrutinized for the next seven months to ensure they are not continuing their nuclear development as negotiations stall. However, the public on both sides is becoming less and less patient with the talks, and the next seven months may quite possibly be the longest that successful negotiations can take. 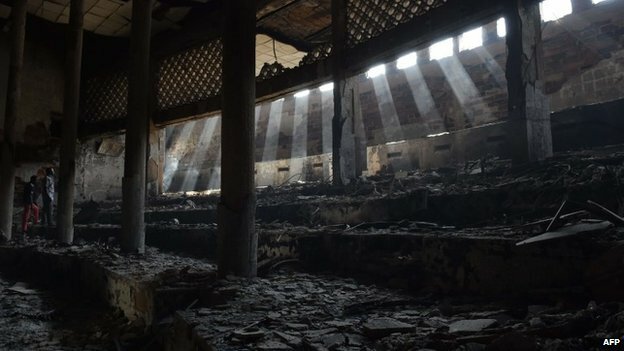 In Iran, criticism has risen over Iran "giving too much away". In the U.S., warhawks on the right have criticized the Obama Administration for appearing weak - especially by extending the deadline - and have called for outright military action against Iran if negotiations fail (note: this is not a good negotiating strategy). If there is to be any accord reached on this sensitive issue, it must come within the next several months. A deal with Iran on its nuclear development will be a significant precedent on nuclear policy and a major win for President Obama as he gears up to leave office. For Iran, it will mark the first time in years that their economy will have an opportunity to bounce back from harsh sanctions they have endured. And for everyone, it will mean one less country with nuclear weapons - something we should all be happy about. For the first time in the 20 years since the end of apartheid in South Africa, riot police entered the National Assembly to break up a brawl that erupted between members of parliament (MPs) during the heated Nkandla debate. The police removed MPs from both opposition parties, the Economic Freedom Fighters (EFF) and the Democratic Alliance (DA), from the chamber, to the delight of the ruling African National Congress (ANC) MPs. The DA asked law-enforcement authorities on Monday to charge an ANC MP and the police with assault against four of its members. The opposition and critics of the ANC decried the forcible removal of opposition MPs as another instance of ANC’s blatant abuse of power. There are two factors at play that led directly to Thursday’s parliamentary brawl. The first is that the composition of the South African parliament is changing, with not only a greater representation of opposition parties, but also with stronger relationships developing between those opposition parties against the ANC. For the past two decades, the ANC has enjoyed essentially unchecked power in the parliament as well as majority support in eight of South Africa's nine provinces. Opposition parties were represented, but were unable to combine their power against the ruling party. The Western Cape province is the only one that has been and continues to be controlled by an opposition party (the DA). In the face of the ongoing Nkandla scandal, South Africa’s opposition parties have found common ground to unite against the governing party with unexpected coordination and energy. In this year's elections, opposition parties took a greater percentage of the vote in all provinces, while the ANC lost a percentage of the vote in more than half of the provinces. Is it just me, or is Pres. 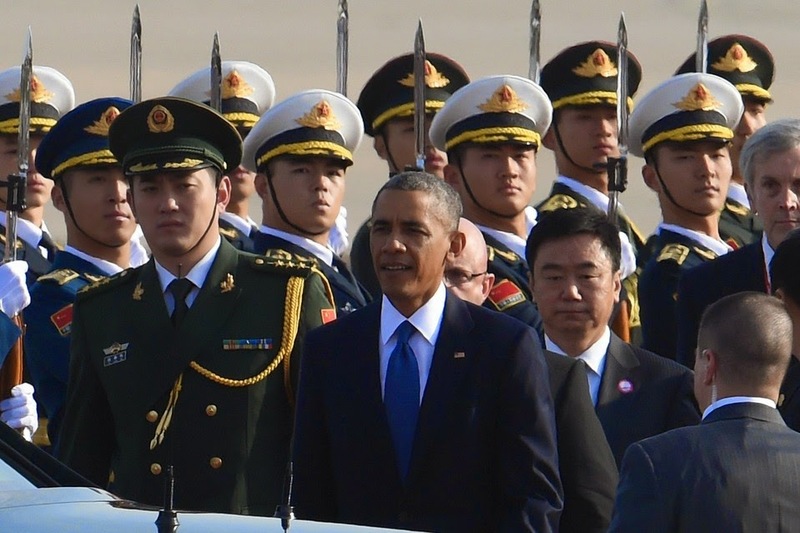 Obama having a very, very good week at the APEC summit? Despite the many obstacles before him outlined by my colleague Colin earlier this week, Pres. Obama has – in a very short period of time, at a summit where rhetoric usually substitutes for action – reached several important deals with Chinese premier Xi Jinping: visas between the two countries were given much longer lifespans, tariffs on high-tech devices were lowered, military confrontations are to be avoided, and now a historic deal on climate change has been reached. Not bad for a president with a lame duck congress at home and a Republican-controlled congress on the horizon. The announcement today that the US and China had reached a deal on climate change has been met with much fanfare, and with good reason. The US essentially agreed to double its cuts in emissions, reducing emissions by 26-28% by 2025 from 2005 levels. China, for its part, agreed that it would reach “peak emissions” by 2030, a date it was previously unwilling to state publicly, and use at least 20% zero-emission energy by 2030 as well. While these measures will not reverse the pace of climate change, they may in fact help the world to avoid a worst-case scenario of 4 degree Celsius temperature rises by 2100 (i.e. environmental catastrophe, if not apocalypse). In late 2009, President Obama arrived in Asia for the APEC summit as the U.S. economy was grappling with the repercussions from the financial collapse the year before. Still relatively new to his job as President of the United States, Obama arrived optimistic, and his promise of an American "pivot" to Asia largely defined the gathering. Today, five years later, our beleaguered president arrives in Myanmar with a greatly improved economy back home, yet substantially less political capital to use to his advantage, and arguably more geopolitical concerns than the international arena has seen since perhaps the Cold War. The crisis in Ukraine earlier this year has caused a rift in U.S.-Russian relations, which will have ripple effects most certainly seen throughout Asia and especially in China; protests in Hong Kong have again brought attention to what has been at best a questionable human rights record for China; and the matter of the American "pivot" to Asian has yet to be resolved, but may see progress with more agreement on the Trans-Pacific Partnership (or TPP). President Obama will have to remain disciplined in his approach to these issues and others, and strike a precarious balance between hard-line tactics and a more reserved, diplomatic strategy. When President Obama speaks of the "pivot" to Asia, there is a common retort from officials in Russia: We are already there. Whereas a true rebalancing of the American projection of power would have paid quick and plentiful dividends five years ago, today is different. 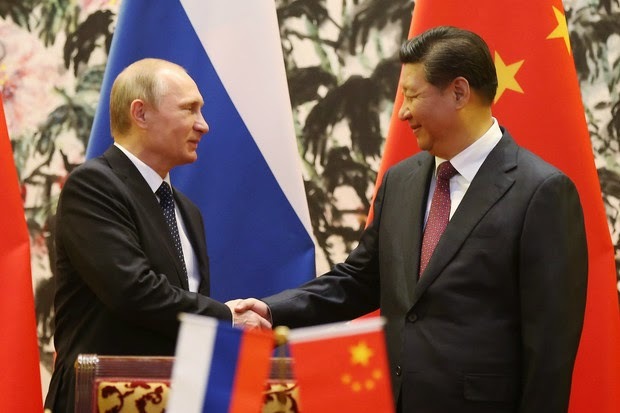 Perhaps the most significant repercussion to come from the crisis in Ukraine is it has pushed Russia and China as close together as they have been since the early Cold War years. A multi-billion dollar natural gas deal between the two countries that had been stuck in limbo for years was suddenly brought to the table and finalized expeditiously, easing Russia's reliance for natural gas exports away from Europe and providing China with nearly 20 percent of their natural gas needs for the next several years. In fact, it is a trade deal so large that it will effectively replace Germany with China as Russia's largest natural gas partner. Militarily speaking, a projection of power in Asia is also simply less feasible today than it was years ago. Where we saw the winding down of wars in the Middle East at the last APEC gathering, this week's gathering comes just after more troops have been approved for deployment in Iraq. The fight against ISIS will continue to escalate in coming weeks (if not months), and these developments will hinder military influence elsewhere in the world. On the economic side of the "pivot", implementation of the TPP is an equally significant obstacle. While 12 nations have participated in TPP negotiations over the years, China has not been one of them. Instead, China has been advocating for an alternative trade partnership, known as FTAAP, or Free Trade Area of the Asia Pacific. Should China prevail over the U.S. in securing a new trade partnership, combined with Russia's increased exports to the region, it would effectively eliminate any possibility of an increase in American influence in the region. The United States remains a major trade partner with many of the countries in Asia, but it will not have much opportunity to expand on those partnerships without the TPP being signed. While these issues remain at the forefront for the next week, President Obama will also have to express cautious support for Hong Kong protestors and find a way to urge Chinese leaders not to use violence as a means of bringing an end to the protests. And while the Hong Kong protests have been making headlines for the past several months, they are certainly not the only matter of dispute in the region. Arguments over many islands have been simmering, as well as other territorial disputes that could erupt into larger conflicts at any time. President Obama must be careful to remain on the sidelines of these issues, while influencing decision-making and keeping things deescalated. Much has changed in the past five years since President Obama last convened with Asian leaders at the APEC summit, and he will undoubtedly have a more challenging time accomplishing items on his agenda this time around. However, at the same time, the stakes are much higher. President Obama must be pragmatic in his approach to tackling these objectives, while preserving what are already tenuously positive relationships with major powers like Russia and China. It’s Just Africa: A “Sub-Saharan Spring” in Burkina Faso? It’s like déjà vu all over again: Popular uprising against abuses of power forces long-serving former military man to step down. The military, loyal to the deposed head of state, seizes power and promises a democratic transition. Protests resume. International outcry commences. Last week, residents of Burkina Faso’s capital city of Ouagadougou took to the streets, setting fire to parliament and government buildings in response to President Blaise Compaore’s attempt to change the country’s constitution and extend his nearly three-decade long rule. The protests forced Compaore’s resignation, but the resulting celebration, complete with cheering and dancing in the streets, was short lived, as thousands of people gathered on Sunday in protest of what they called a blatant power grab by the army.